Home hair loss Is Cleansing Conditioner Also A Reason of My Hair loss? Is Cleansing Conditioner Also A Reason of My Hair loss? 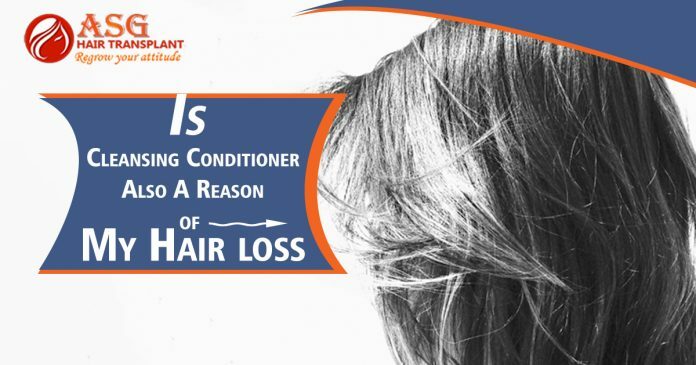 Does regular use of hair conditioner make your hairs fall out? When we condition our hairs we can see some clumps in our hands. But the reason for hair loss is related to the use of conditioner or not. In some cases, if the problem is excess then you can go for a hair transplant. Is The Myth True About Conditioning And Hair Loss? The myth is that use of conditioner and shampoo can cause the problem of hair loss. If you don’t condition your hairs properly then your hairs will become dry and dull. You should gently exfoliate your hairs to promote the growth of healthy hairs. Daily conditioning will not make you lose your hairs. How to Prevent Damage from Conditioning? There are different brands in the market which make the best hair conditioners. You should choose a conditioner with is gentle and contain ingredients which are natural. Choose the product which contains oils such as hazelnut oil and argan oil. don’t use products which have SLS or SLES in it or any other harmful chemical. The effect of such chemicals will be skin irritation or even worse. It is important to gently handle the wet hairs to avoid any damage. Massage the roots and the ends of the hairs. If you will apply the product vigorously then it will damage your hairs. You should also keep in mind that the texture and feel of hair for every person is different. If you have curly then you need to choose the product accordingly. You need to apply more conditioner if your hairs are thick and if your hairs are thin then you need to apply less product. Don’t apply too much conditioner to the hairs. The right amount of conditioner will promote hair growth and it will make your hairs soft and clean. After taking a shower gently dry your hairs using a soft towel. You should avoid brushing your hairs when they are wet. To avoid tangling, use a wide-toothed comb to brush your wet hairs. It minimizes the damage to your hairs and the hair loss will also be less. Apart from this, you should include the hair growth supplements which will help to promote hair growth and healthy looking hairs. Include vitamins and minerals in your diet to prevent hair loss. If you choose the right product then there is no way that hair loss will happen.